…had at least two national medalists/champions in 18 of the last 21 U.S. National Championships. …always looked up to 4-time U.S. Champion Charlie Tickner who was his idol when Tom was a national competitor. …coached 19 U.S. Champions; 4 different senior champions. …coached 10 champions in the last 14 U.S. National Championships. …coached two or more of the singles champions at 5 different U.S. National Championships. 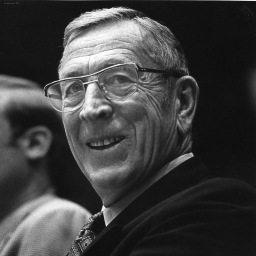 …played team sports like football and basketball growing up in Garfield Heights, Ohio, BEFORE he started skating and because of this always looked up to and still admires non-skating famous basketball coach, John Wooden, and his Pyramid of Success. …coached at least one national champion at each level: Novice Men (1), Novice Ladies (2), Junior Men (4), Junior Ladies (3), Senior Men (3) and Senior Ladies (1). …coached three different men to both the Junior Men and Senior Men National Championships: Jeremy Abbott (2005 and 2009), Ryan Bradley (1999 and 2011) and Max Aaron (2011 and 2013). …always been grateful to Audrey Weisiger, Frank Carroll, Norma Sahlin and many other PSA coaches. …coached many skaters through their developmental years to their national championships including Ryan Bradley (22 years), Rachael Flatt (11 years), Jeremy Abbott (10 years) and Max Aaron (8 years). …coached other national champions: Agnes Zawadzki, Joshua Farris, Alexe Gilles, Ann Patrice McDonough, Marissa Secundy, Andrew Speroff and Kellen Johnson. …always advised athletes to go through their entire program each time they run it–no matter what! …known and looked up to Kathy Casey for many years. She was the coach who encouraged Tom to join the team at the World Arena in Colorado Springs, CO in 1996.